Throughout my years in publishing, almost daily books pour into my home. I love books and enjoy seeing the various books that I've acquired for Morgan James Publishing. Our team is making some remarkable books and getting them into the brick and mortar and online bookstores. One of the books I acquired hit several bestseller lists last week including the USA Today bestseller list. These lists measure books that are selling inside bookstores and it was a thrill to have one of my authors on the bestseller list. Reading books is also something I do in my free time and for fun. No one is paying me to read their book and write a review but if I read the book, I take a few minutes and write an honest review on Amazon and Goodreads. It is a consistent pattern that I follow and I've written over 900 reviews on Amazon and hundreds of reviews on Goodreads. I love books and it is fun to receive Advanced Reading Copies (ARCs) of books. Most of my reading is nonfiction but I do sprinkle a few novels into my limited time for reading. I love the storytelling of Brad Meltzer and have read most of his novels. In fact, last year, Meltzer made a personal apperance at my local library. I would have been there except he came at a date when I was speaking at a conference in another state. Meltzer has a book releasing in January, The First Conspiracy, The Secret Plot Against George Washington and the Birth of American Counterintelligence (Flatiron Books, January 2019). Last week (mid-August), I pulled an uncorrected ARC of this book out of my mail. I'm eager to begin reading it soon. Periodically I have this problem: the bookshelves in my office are full. Then I begin to stack the books on the top of a bookcase. Eventually these books gather into about three stacks with at least a dozen books in each stack. Yes too many books have poured into my office and I need to purge through my bookshelves and remove books. As I sort through my book shelves, I will attempt to be more realistic and narrow the books that I will actually be able to read. Eventually, the overflow stack of books will be eliminated and my books will again be contained in their bookshelves. When completed, I will have several additional boxes of books which I donate to my local library or other places. Each of us have limits on our time—even for something we love like reading. Do you go through this purging and sorting process at your house? Tell me about it in the comments below. 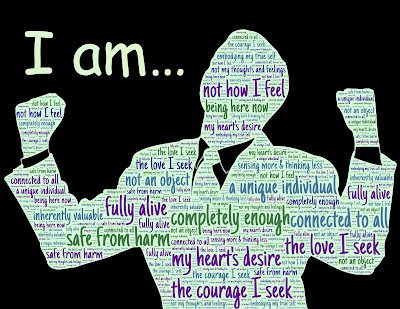 Who Believes in Your Writing? Many of the words in this image are tied to belief. Last week I signed a contract for another book project. As an acquisitions editor, I help others with their contract but my own writing has dropped in recent years as I focus on helping others. I'm excited about this new project but the experience made me think about the concept of belief. Throughout my publishing career, I've been blessed to sign numerous contracts. Because I've worked inside publishing companies, I know a contract is not issued without a number of people deliberating and making the decision. These publishing professionals believe that I was the best person to write this book so they issued a contract. I'm looking forward to working on this book in the days ahead. It has been my honor to believe in a number of authors over the years as an acquisitions editor. When you are writing your book or proposal, inwardly you wonder whether anyone will want to publish this book. Yes every writer has these doubts and faces this uncertainty. Yet they continue forward to write and complete the book. 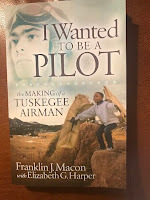 I opened a package last week with a new book which releases in November, I Wanted to Be A Pilot by Franklin J. Macon with Elizabeth G. Harper. I met Liz at the Colorado Christian Writers Conference. This middle school teacher had written an autobiography for Frank, one of the few living Tuskegee Airmen. This much decorated group of World War Two pilots is aging and Frank at 94 is one of about 100 living Tuskegee Airmen. It was a thrill to see this beautiful book and hold it in my hand. As an acquisitions editor, I was one of the first to believe in this book and the importance of it. I spoke with another author who has one of the Morgan James contracts but hasn't signed it yet. I told this author how much I believed in her book and the importance of it. She thanked me for this affirmation and belief. I'm eager to see this book get published and get into the bookstores and help people. Who believes in your writing and your book? It could be a spouse or a friend or someone in the publishing world. If you don't have this person, I encourage you to look for them. Maybe they are in your critique group and believe in your work. And while you are looking for this person to believe in your writing, my encouragement is for you to believe in yourself. Continue learning and growing in your knowledge of this business and the craft of writing. Continue growing your audience and platform. Also continue to write and look for new opportunities. There is a world waiting for your book. 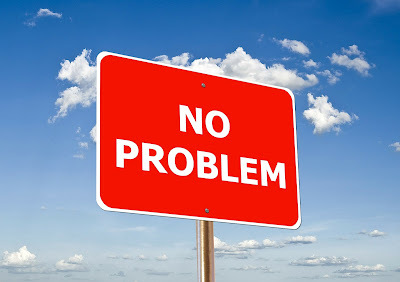 If I can help you in this process, don't hesitate to reach out to me (my work contact information is on the bottom of the second page of this link). Let me know in the comments below, who believes in your writing and ideas about how to connect with someone who believes. Book reviews is one of my on-going concerns with authors. Maybe they don’t care about book reviews and never put any effort into getting them. Their book has been available for months or years yet they have zero or one or two reviews. Other authors put effort into getting reviews when their book is first launched (which is admirable). Yet after the initial launch, they press on to other areas and never do anything additional about book reviews. 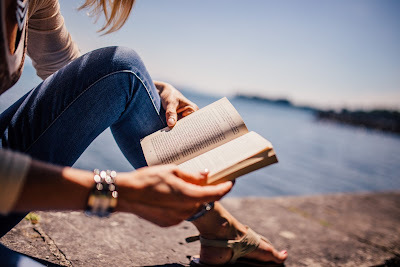 My focus in this article is helping you understand the on-going importance of book reviews. Whether your book is just launching or has been out for years, you still need reviews. A new review whenever it is posted is something you can tout and promote on social media. I encourage every author to get at least 25 reviews when their book launches. It will take work from the author for you to get these reviews. Ask people if they are willing to read your book and write an honest review. Send them the electronic or print book, then keep track to follow-up and see if they have completed the review. From my experience you need twice the number of people to reach your goal for reviews. For example, if you want 25 reviews, then you will need to get commitments from 50 people. Why? Life is busy and full of interruptions and many people don’t carry out on their commitment to review your book—unless you follow-up and ask about it—and even with follow-up some people will not do it. At first, you should have a goal of 25 reviews on Amazon. Then when you achieve that mark, your goal should shift to 50 reviews. Why? 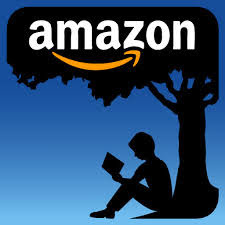 When your book has 50 or more reviews, Amazon let’s the author (or your publisher) do some special advertising that was not available with less reviews. And when your book reaches 50 or more reviews? Then you have a new goal of 100 or more reviews. Last week in Nashville I talking with David Hancock the founder of Morgan James Publishing, I learned when your book reaches 100 or more reviews, Amazon begins to do some behind-the-scenes advertising to promote and sell more books. The benchmark made sense to me since many books never reach that 100 or more reviews but the ones who do, indicate books which are actively selling. The Audiobook is also available. 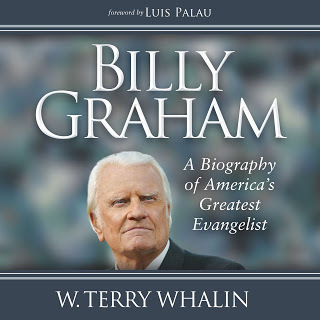 As of this writing, my biography, Billy Graham, A Biography of America’s Greatest Evangelist, has 83 Amazon reviews. I’m 17 reviews short of reaching 100. If you have read my book, I’d appreciate an honest review (hopefully four or five stars but honest is important). When I learned about this 100 review benchmark, I wrote several friends and asked them to review the book. I’ve also been working to find more people to read or hear my book and write a review. If you are interested and don’t have my book, reach out to me and I’ll be happy to get you a copy in exchange for the review. Sometimes an author will ask me what can be done when they get a one star review. I tell them to rejoice and they look at me like I’m crazy. You rejoice because that one star review has just validated your other reviews. If you see a book with all five star reviews, then it is like the author is orchestrating all of the reviews. If thre are one star reviews, then you know the reviews are real. Don’t reach out to those people because it only feeds the trolls. Instead let it go. My key point of this article is the process of getting reviews for Amazon or Goodreads or Barnes & Noble is ongoing for every author. It is not a seasonal or one-time type of process. I would compare it to any type of marketing for your book. The process is on-going rather than hit or miss. There is no single path to make your book a bestseller. If we had a formula then every book would be a bestseller. Instead each author has to try many different things to see which actions bear the greatest sales or results. It is much more of a marathon effort than a sprint. My intention is to help every author see the on-going necessity to encourage others to write reviews about their book. Several times a week, authors reach out to me and ask me to review their book. I’ve written over 900 Amazon reviews and over 500 reviews on Goodreads. This experience makes me one of their top reviewers. People know if I say I will read the book, there is a higher probability that it will actually happen. To be honest, I receive stacks of books every day and can’t read all of the books I receive. It would be impossible. I do write reviews on any book that I read or hear. Sometimes it takes me a day or two to get the review written but it does eventually happen. Are you continually working to get reviews of your books? Do you have other resources to get reviews? Then let me know in the comments below.